Useful Knots for Camping: Learn How to Tie Knots. / Useful Knots for Camping: Learn How to Tie Knots. Camping is a great way to go on holiday without spending a fortune on accommodation, and is relatively simple if you got to a campsite to pitch your tent. There are, though, a series of useful knots for camping that are worth learning just in case you need them, as they come in handy for things like tying gear to the roof rack of your car, bundling firewood together, extending the guy lines of your tent, or even putting up a washing line. In this article we will look at some of the different tie knots that are worth practicing before going away. The first thing to understand is that there are three broad groups of knots that are designed to serve different functions. 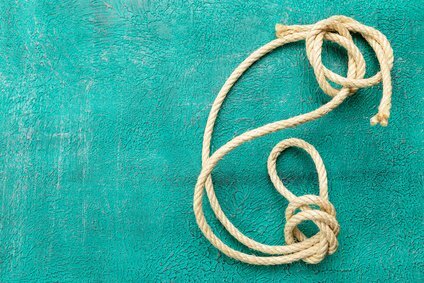 A Knot is what we use to tie a rope or string back onto itself. The most common example of this is when tying your shoelaces or putting on a tie. A Hitch is what we use to tie a rope to something else. These are what are used to tie washing lines or hammocks to trees, or the leash of a dog to a fence. A Bend is used to tie a rope to another piece of rope. It’s the least common type to be used, but can be helpful to extend the length of a rope if you have two pieces that aren’t quite long enough. Learning how to tie knots is quite easy, but with so many different variants it’s worth choosing just a few that will cover you for whatever you need to do. The following 5 knots will be ideal in most scenarios you would ever face while camping, especially when you are using a larger 6 person tent for example. This is a binding knot that is used to tie two ends of rope together and is great for holding bundles of wood. To tie it you take the two ends of the rope you want to connect to each other and cross them over to form half a knot. You then cross them again and pull tight to give a secure hold. This knot is used to tie together two pieces of rope that are of a different thickness and is a good one to use to extend the guy lines of your tent. To tie it you create a loop in the thicker rope, pass the smaller rope through it and behind the thicker rope. You then feed the smaller rope back under itself and pull tight to give a secure hold. This is a knot that ties the rope to another object and is ideal for securing lines to a tree, and is the one often used to tie a boat to its mooring. To tie it you wrap the rope around the tree twice and make a half hitch by feeding it through the gap at the front. Do this again to create a second half hitch and pull tight. This knot is used to secure a loop within the rope and is ideal for securing things to your car or creating a load bearing loop that you can hang something from. To tie it you hold the middle piece of the rope together, pass it over and under the rest of the rope and up through the hole that is formed. You then open up the hoop that you have and pass the rest of the knot through it before pulling tight. Also known as the Midshipman’s hitch, this is used to give an adjustable knot that can be moved up and down the rope, and is the best one to use to replace a guy line if, for some reason, yours breaks. To tie it you pass the loose end of the rope around the object you are tying it to, pass it over then under the tail end and up through the gap. Do this again, and on the third time you thread it underneath itself on the way up to create a secure hold. Most things are covered on a campsite, but if you are camping on your own or want to learn skills needed to be able to deal with any problems that may arise, or simply to help with jobs that need to be done, it’s worth learning a few useful knots for camping. They will help you replace guy lines, secure things in place and perform a wide range of other functions, and are crucial to self survival outdoors. How To Keep Beer Cold On A Camping Trip! What to Bring to a Music Festival? More Dancing, Less Stress! What is Glamping? An Introduction to Luxury Camping.